The Wizarding World of Harry Potter is ever Harry Potter fan’s dream come true. Whether at the Universal Orlando Resort, Universal Studios Japan, Universal Studios Hollywood, the park had a myriad of attractions, stores, foods, and performances to help live out any Harry Potter fan’s dream. Read on to find out behind the scenes secrets about the adventure park experience. 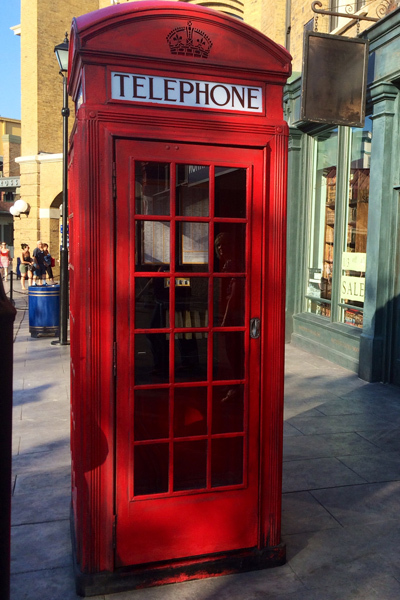 Inside the classic English red phone booth that’s located outside of the entrance of Diagon Alley, you can actually dial the phone, and if you call MAGIC (962442), you’ll receive a message from the Ministry of Magic.